Due to popular demand.. this is a translation of the wonderful Wooz.dk instructions. We have had a go and they are great. 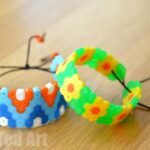 It is VERY important that you follow the instructions, else your Perler Beads/ Hama Beads will stick to your cookie cutter and ruin it! 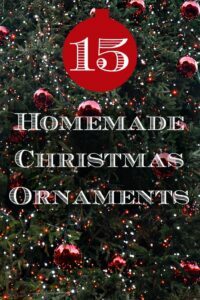 I do love some DIY Christmas Ornaments! Get yours today and keep it forever! 2. Get a baking tray with baking paper ready and brush with oil. 3. Now brush the cookie cutter with oil too – it is very important that the inside is covered. 4. 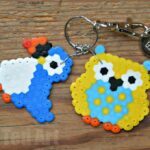 The oil is so important as it will stop the perler beads from sticking to your cookie cutter shape. 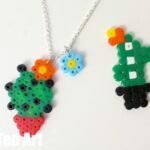 Make sure the oil goes “up the sides” of your cutter, as when the perler beads melt, they have a tendency to “stand up” a little and you don’t want them to stick to the cutter higher up. 5. 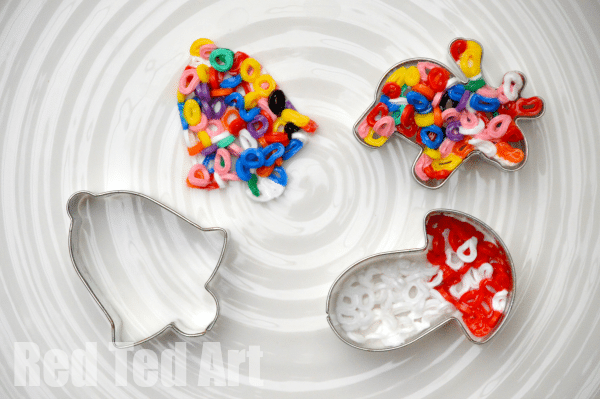 Now put one layer of beads in the cookie cutter. It is possible to do patterns (see our mushroom ornament above), but to be honest the rainbow coloured ones look best and are fun for kids to make. 6. 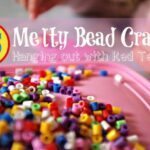 Place in oven and wait for beads to melt. It will only take a few minutes. Once finished, remove from the oven. 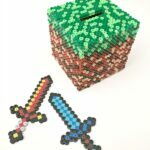 I “poked down” a few of the upright standing perler beads with a knife, to give it more of an even surface. 7. Then let it cool enough, for the beads to stick together and placed them into a bowl of lukewarm water. Wait to fully remove until the beads have started to stiffen! 8. Finally, wash in warm soapy water t remove the “grease” from your ornament. 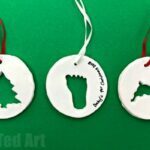 Want more Christmas Ornament Ideas? Would cooking spray work as a replacement to vegetable oil? I confess, I don’t know! Have no experience with cooking spray! 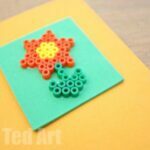 i was wanting to print Perler Bead ornaments out so i dont have to have a screen in the kitchen, is there a way to do this? Does “print via webpage”, not work? Just thread a piece of ribbon through one of the holes! Are the cookie cutter s metal or plastic? 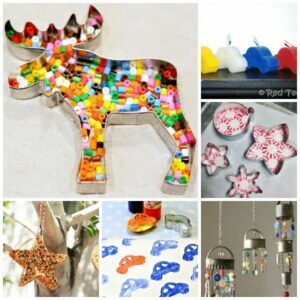 Can you use metal cookie cutters that have been painted? Or does it have to be the shiny metal unpainted ones? I have to confess, I don’t know. I think they should be ok, but haven’t tried! Really strange, but mine never did melt. They all just felt apart and were a big waste of time and money. 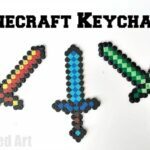 I wonder if it depends on the brand of perler beads. Oh that IS strange?! I wonder why??? ?